Question about the forum category? So, should creative discussion go in this category of the forum? (Like the thread about openings, or if I want to make a thread about character design for example.) It sounds a bit like "suggestions/help" would be for threads about the forum or technical help? And, can posts about that type of creative discussion go into the "new / upcoming fanime" categories, or is that only for series that are "in production" so to speak? If so, maybe there should be a forum category for "fanime production" discussion in general? (6w6) I mean, if you want to talk about fanime character designing in general, and not for a specific fanime you're making. Re: Question about the forum category? Don't worry, I will make everything much clearer as everything passes on (I'm so sorry orz) this is a wip forum and I will have everything cleared for you by the morrow. So your saying that the help/suggestions for the forum? 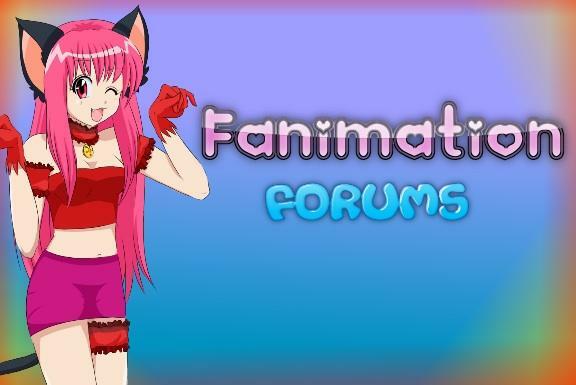 It is ^^U it was supposed to be to help the forum get better and what forums topics needed to be deleted added, ect. But I guess I will make a seperate one for famine and the forum. And for the famine disscussion.... You are saying that there needs to be one in general or for one for a topic? And no, nothing's stupid I'm quiet happy you said something or else the forum would be confuseing and stupid it self. Yeah, what I mean is basically, is it okay to post random creative discussions in the "New Fanime" category? Like... even if I just want to talk about "how do I design a good main character?" or say "what do you think of my fanime story ideas? ", when those aren't necessarily related to one single fanime project. Edit: I was tired when I posted that, excuse me. I did what you requested with the general discussion and changed the names of under the "everything fanime" tab.